There are lots of things that make Primo® water awesome, but safety is at the forefront. When you choose Primo® water, you’re standing up for yourself. So, go ahead. Tell those parasites, bacteria and heavy metals who’s boss. If there’s one thing we should be able to rely on, it’s our water—plain and simple. You won’t find this one at home anymore, right? Think again. Corrosion of household plumbing systems and natural deposit erosion can result in lead-laden drinking water. Children exposed to lead may have developmental delays and attention or learning deficits. For adults? Kidney problems and high blood pressure are at risk. If you’re looking for poison, you just might find it in your tap water! Cyanide is discharged from plastic, metal factories and fertilizer factories. Long-term exposure can lead to nerve damage and thyroid problems. Doesn’t sound like a good time, does it? Primo water is cyanide-free, so you can say goodbye to poisonous drinking water. 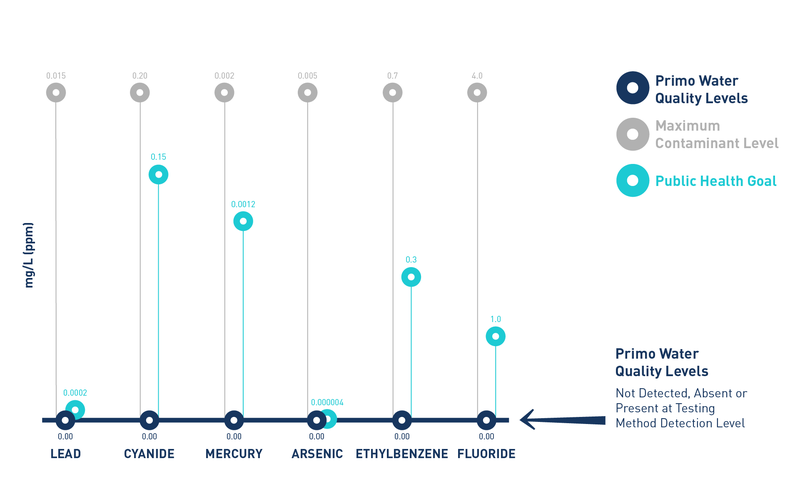 Found in tap water across the country, mercury comes from the erosion of natural deposits, discharge from refineries and factories, as well as runoff from landfills and croplands. In case the idea of drinking mercury wasn’t bad enough, long-term exposure to mercury can lead to kidney damage and let’s be honest: your kidneys don’t deserve that. Arsenic is a product of natural deposit erosion. It’s also found in runoff from orchards, glass and electronics production waste. And it just might be in your water. What does it do to your health? Over time, continued exposure can lead to skin damage or problems with circulatory systems and may also lead to an increased risk of cancer. Even if you can say it ten times fast, there’s no good reason to drink it. Ethylbenzene is a nasty mess discharged from petroleum refineries and tap water has been found to carry varying amounts of it. Long-term exposure can lead to liver or kidney problems. Short-term exposure can lead to disgust. Let Primo take away your water worries. *Data Sources: Primo Water Quality Report, Public Health Goals, National Water Regulations. One of Primo’s primary goals is to leave a positive impact on the environment. 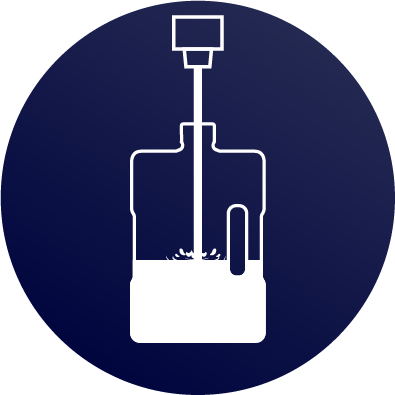 Our Refill Water gives users the chance to do better by reusing and refilling their empty bottles time and time again. And, each Primo® five-gallon bottle saves up to 1,100 single-serve plastic bottles from landfills and oceans over the course of its 40-use lifetime. Did you know that 75% of Americans are chronically dehydrated? Luckily, it’s an easy problem to fix. Choosing Primo water lets you get a jump on your recommended eight glasses per day, helping you live a healthier life. 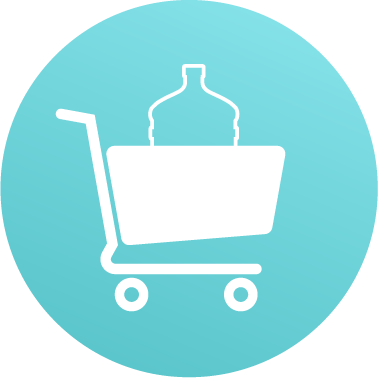 In fact, bulk water users consume as much as 25% more water than non-bulk water users.